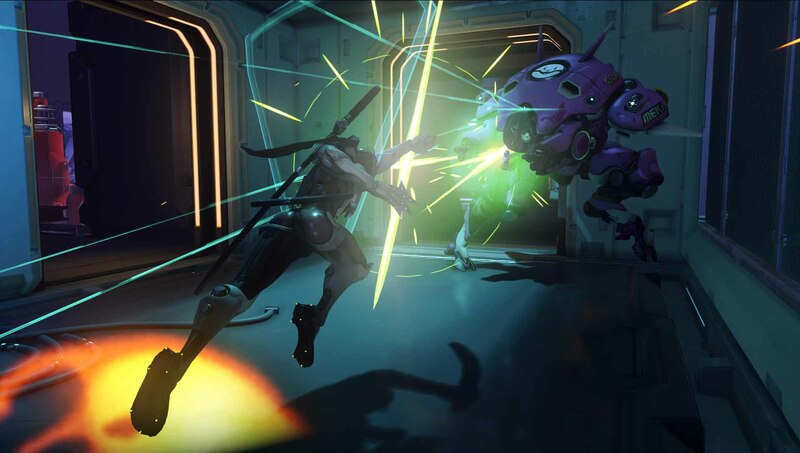 Like Tracer, Pharah, Reaper, and the other offensive heroes, Genji focuses on speed, mobility, and being able to dish out crazy amounts of damage is a short amount of time. His main weapon are his shurikens, which are accurate, are shot out in a burst of three, can be used from fairly long range, and deal a ton of damage if they all hit their mark. He can also use the alternate fire to shoot them out shotgun style, dealing less damage, but hitting a wider spread; ideal for fast characters like Tracer who are low on life. While his shurikens are great, his real value comes in the form of his shift ability, Swift Strike, which allows him to perform a quick dashing slash that not only deals good damage, but also inflicts bleed on an opponent, dealing significant damage over time. If the bleeding character dies by any means, the cooldown on Swift Strike is reset, allowing him to potentially use it multiple times in quick succession and clean up a group of enemies. But I think the real reason people will want to play as Genji will be because of his "E" ability, which puts him in a reflect stance that will reflect just about any projectile to where he is aiming, including Pharah's ult, so if you're Pharah, you may want to think twice about using that barrage of missiles against a Genji. It can also reflect sniper shots, making Genji a great counter pick against a Widowmaker or Hanzo. 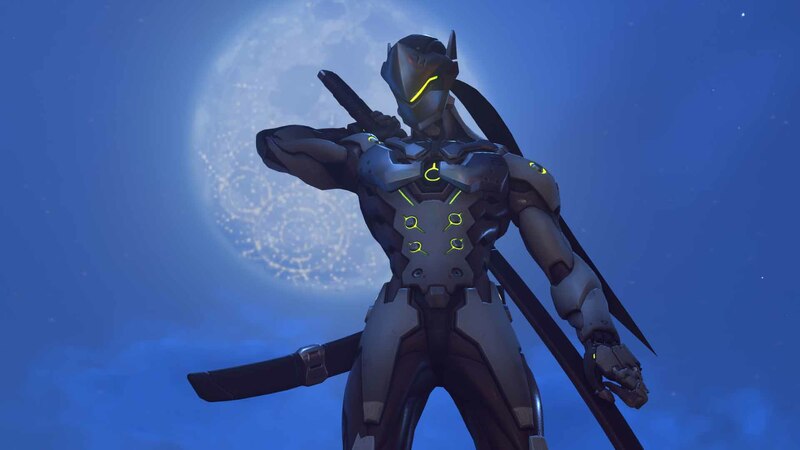 Genji's ult gives him access to his sword as his main weapon, giving him an extremely powerful melee attack with a wide reach, while also strengthening his Swift Strike ability, giving him even more opportunity to dive into the fray and deliver sharp and steely death to anyone in his way. It's a dangerous ult to use though, as it doesn't give Genji any extra survivability, so you'll still need to remember to use his reflect as a way to protect himself while dashing around picking up kills. It should also be noted that Genji has a double jump, and has Hanzo's ability to scale walls, allowing Genji to take paths to the objective that other offensive characters like Tracer and Soldier 76 can't traverse. Genji is one of the most fun characters to play as in the game, and just his very presence on the enemy team will make people think about their own composition and whether they want to risk having their projectiles reflected back at them. I can't wait for D. Va, Mei and Genji to make their way into the Overwatch beta, as their presence truly makes Overwatch feel complete. Characters that felt like they had very few or no counter-picking options now have real threats to look out for, and there are now even more options for the attacking team to deal with well-fortified defenses without completely tipping the scale in the other direction. Be on watch for Overwatch when it hits the PC, Xbox One and PlayStation 4 in Spring 2016.